It’s now far tougher to make money. For most big YouTubers, these changes won’t make any difference. But you’re not a big YouTuber. Few people are. So, how do these revisions to YouTube’s monetization rules hurt the “little guys,” or as we prefer to call them, “SmallTubers”? More importantly, is there anything you can do? Is it the end of your time making videos, or is there another way for you to at least break even? Let’s find out. In it, they outlined how the recipients’ YouTube channel had not met a new minimum threshold for watch time and subscribers. Additionally, the chances of meeting this new threshold were made very small, with the deadline just a few weeks away. Initially, there was considerable speculation that this move was a reaction to the Logan Paul video. However, this doesn’t really weigh up. 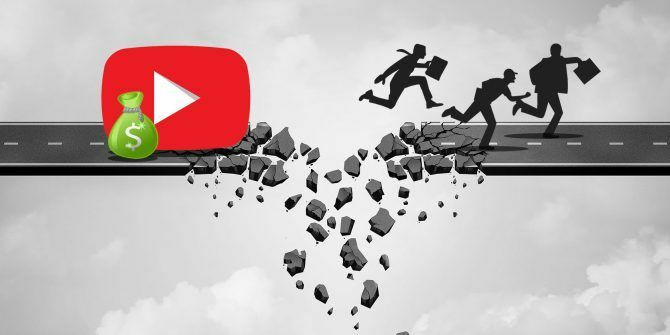 #YouTubePartnerProgram so, instead of properly punishing big creators who break the rules YouTube decided to punish 100s of 1000s of smaller creators by kicking them out. Just like that. We're nothing to them, yet they bend over backwards for the bigger guys. Understandably, a lot of people are upset about the entire thing. You might be too. So what can you do about it? If you’re feeling like you’ve had enough of YouTube, why not change video host providers? YouTube has long had rivals. Some of these are increasingly welcome to YouTube refugees. Many people who have heard of YouTube, and are active on it, have probably heard of Vimeo. Less widely used, it is however YouTube’s biggest competitor (in terms of video hosting sites, at least). Indeed, this latest development is just another reason to use Vimeo instead of YouTube 5 Reasons to Host Videos on Vimeo Instead of YouTube 5 Reasons to Host Videos on Vimeo Instead of YouTube Why would you choose Vimeo over YouTube? Here are a handful of strong reasons to consider -- reasons that are contributing to Vimeo's impressive growth over the last decade. Read More . Fortunately, Vimeo has a better reputation than YouTube; it doesn’t allow you to upload anything you like. Instead, they demand high-quality videos, often documentaries and short films. Monetization on Vimeo is limited to its VOD program, however. This means you’ll need to build a large, loyal following who are prepared to pay for your content. Dailymotion limits you to 60-minute uploads, no larger than 2GB. They have support for 4K video, and support all common video formats. They also offer a monetization program that anyone can join. Another video hosting option, MetaCafe, is also available. Offering a quick sign up, you should be able to upload your videos swiftly. MetaCafe requires short videos, rather than long ones — a sort of opposite to Vimeo. However, monetization options for MetaCafe are limited. At the time of writing, it seems that a previous monetization program has been put on hold. Currently, there is no BitChute-provided monetization option. A brand-new social network, Minds is open source and based on a foundation for transparency and privacy. Importantly, it has a multimedia focus, enabling you to upload videos. Additionally, several monetization options are available, such as the ability to earn subscription revenue, Patreon-style. You can also earn 25 percent of the revenue Minds generates from referrals to the site via your account. A points system is also in operation, but for standard YouTube-style monetization, users are limited to generating $1 per 1000 views. However, as Minds is a newer, growing service, this might be the right place for you to build a new audience. If your content is videogame based, and you’re not already on Twitch, now is definitely the time! Speaking of social networks, the old-school social networks that you already use can host your videos. These will not make any money, but they can be shared quickly. Additionally, these videos can be used to highlight your expertise in a subject — useful if you’re trying to get a sponsor interested. Note that with any of these social networks, as with YouTube, your video could be removed at any time. This may be because of a change of policy, or because the clip breaches T&Cs. As such, remember to retain a copy or make a backup Download Videos From Facebook, Instagram, and Twitter on Android Download Videos From Facebook, Instagram, and Twitter on Android If you want to download videos from Instagram, Facebook, or Twitter onto your Android phone, you need these apps. Read More of these uploads. It’s not difficult to upload your videos to Facebook. It will take longer than simply sharing a YouTube URL, however. Make sure you upload to your Facebook page, and pin the item so your followers can see it. 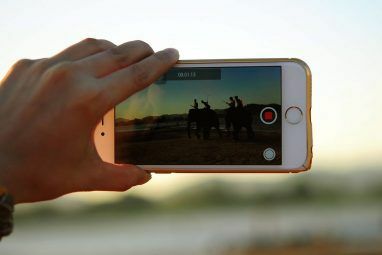 Don’t forget: you can also produce live videos on Facebook How to Stream Video From Your Smartphone or PC With Facebook Live How to Stream Video From Your Smartphone or PC With Facebook Live Facebook has another way for you to communicate with the world: via your webcam, which allows you to video chat directly to your audience. Read More . Like Facebook, Twitter can be used to upload your own videos. However, these are limited in length to 2 minutes and 20 seconds. Live videos can also be created, if necessary. These are not limited in length. Like Twitter, Instagram can be used to host videos up to 60 seconds long. For many vloggers, this is likely to be too short. 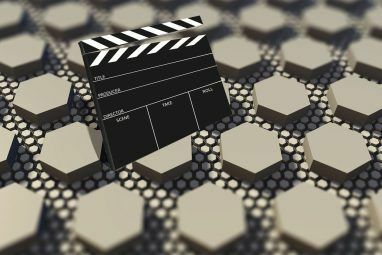 However, if you regularly produce smart, tightly edited “how-to” videos, then there is a good chance that these could be edited into 60 seconds. Not ideal, perhaps, but ready to be seen by a huge audience. Check our guide to producing Instagram videos How to Create an Instagram Video People Will Want to Watch How to Create an Instagram Video People Will Want to Watch Now, people share videos on Instagram just as frequently as photos. Read More for more tips. Could You Host Your Own Videos? Alternatively, you may prefer the idea of abandoning third party hosting sites entirely. Is it possible to host your own videos? Yes! A trio of particularly good options are available. An open-source YouTube alternative for you to create with your own web hosting, MediaDrop has support for HTML5 and Flash video. With this installed on your site, you can host video locally or add from YouTube, Vimeo, Amazon S3, and other servers. For administrators, statistics are available, and a slick content management system is provided. If you like, other users can upload to your YouTube-like channel, and social media sharing is available. As this is your own site, how you monetize content is up to you. Describing itself as a “decentralized alternative to Flickr, YouTube, SoundCloud,” MediaGoblin claims to be the perfect tool for sharing self-produced media. Decentralized and extensible, MediaGoblin is intended for long-term use. It doesn’t appear to be open-source at this stage (although it would appear this is in the cards) but MediaGoblin is free. Many sites are already using MediaGoblin: take a look at this demo site. Finally, it’s worth checking out this newer free and open-source video CMS. It’s easy to use, and produces HTML5-compatible video clips with support for all major browsers. Check out the demo site for a better look. Whichever system you use, just remember: when uploading content, ensure it doesn’t breach your web host’s terms and conditions. Also, more video means greater bandwidth needs and higher hosting costs. Many SmallTubers hit by YouTube’s new monetization strategy probably weren’t making thousands, but enough to make a difference. So, what happens to that money now? Simple: YouTube takes it. Sorry, people. Think Logan Paul made YouTube greedier? Think again — this has been coming for months. But what are you going to do about it? If you need to generate cash, joining an ad network is a good idea. However, these probably won’t be interested in you if your site or self-hosted video network doesn’t have a large audience already. Another option is affiliate ads. These are advertising services that you apply for. Again, there is a barrier to joining if your traffic is low. Try to stick to programs for products that are relevant to your audience. 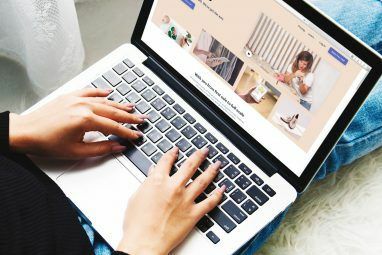 An increasingly popular solution for creators to gain money from their audience, Patreon is free to sign up to, and lets you publish content direct to subscribers. Patreon has not been without its own problems Patreon Forces Patrons to Pay More Money Patreon Forces Patrons to Pay More Money Patreon is changing the way it charges fees, which is causing confusion and consternation amongst creators and their patrons. Read More when it comes to users monetizing their content, however. Yes, it’s a browser, but it’s worth checking out Brave’s $1 million token giveaway. Frankly, everyone reading this should be already downloading Brave and encouraging their audience to get on board. If your YouTube channel is regularly discussing a specific product or type of product, why not consider sponsorship? Get in touch with a business known for that product/topic, and ask them to provide backing. Not necessarily monetary, such backing might be hardware costs, or travel costs, perhaps. Finally, look at joining a dedicated online video channel. This might mean abandoning any of the previously mentioned platforms and joining a proprietary network. Several are in operation, offering dedicated content produced (or purchased/licensed) specifically for that network. Often these online channels will only accept pitches via a broker/intermediary, however. If you can find one, great! YouTube’s attitude to small hosts, amateur vloggers hoping to get a start via the platform, and other trouble-free YouTubers is saddening. There’s no way anyone struggling to get a foot on the ladder needs to then have to deal with having to find new monetization options, or even a new host. Moreover, it makes YouTube richer. Does Alphabet really need the money? Fortunately, alternatives exist. You can host videos elsewhere; you can even host them on your own website. Monetization can still be found, but how you organize and produce your material may have to evolve. All we can say is this: don’t take YouTube’s decision as a hit. Fight back, change, and embrace the new way of doing things. Were you hit by YouTube’s new monetization threshold? Perhaps you’ve previously abandoned YouTube? Tell us about it below. Explore more about: Make Money Online, Online Video, Vimeo, YouTube. Just more examples of how companies and corporations don't give a damn about the average person attempting to better their circumstances. This is one of the reasons why I stopped using Microsoft Windows.....why I won't buy or support anything made by Apple, and why I've even moved from "standard" Android to one of the alternative ROM's that allows me to use F-Droid for apps and not Google's playtstore. I have helped move me mum over to open source, and won't bother with anything that requires an EULA. As for YouTube, this is the same scenario that was in existence in the 80's / 90's and even the early 2000's,.regarding Microsoft's iron-fisted hold on both corporate ans consumer PC use....until Linux/ BSD and Open source started showing their TRUE strength, not sales, not subscriptions, or numbers, their true strength was being transparent, and open, and being willing to share. Fast forward to today, and that stranglehold Microsoft had on the consumer desktop / business workstation and corporate server? Is almost non-existent. Give it time......eventually? YouTube will face the same fate....where they'll BEG for content providers just to keep the lights on. Think it can't happen?....remember the slogan used by Microsoft no more than a year and a half ago...."Microsoft Loves Linux". Why?.....wasn't open source the devil?.....no...it was because they were losing all manner of contracts in data centers and server farms as customers were ending contracts to sign up with Red Hat.....OpenSuSE.....Ubuntu and the like. So just sit back.....find alternative means and wait for the almost definitive fallout of this move from YouTube. nature hates a vacuum, and they most definitely will have created one by doing this. they are playing poor. money that Alphabet is saving must be taken as extra income tax. do that until Alphabet returns the Youtube Partner Program to normal. I had just reached the 10,000 view requirement, and while my waiting for my channel to be reviewed, Youtube came out with their new policy. They keep moving the goalpost and I'm sick of it. I post video game content, tried Twich's upload feature and it is stupid. I don't want to have to schedule a Reveal everytime I upload a video. I have over 400 videos! !